Biloxi, Mississippi – COMVEST is proud to announce finalized lease negotiations that will bring this leading pet specialty retailer to in Shoppes at Popps Ferry with a 12,500 SF location. Construction at the shopping center will begin soon, with turn-over to Petco anticipated for February 2016. Petco (http://www.petco.com/) has more than 1,200 locations across the U.S., Mexico, and Puerto Rico and is celebrating 50 years of service to pet parents this year. Petco has been in the headlines this lately hiring Goldman Sachs, announcing key leadership changes, and planning a return to public markets. Read more about the exciting things happening with the latest addition to our retail family. 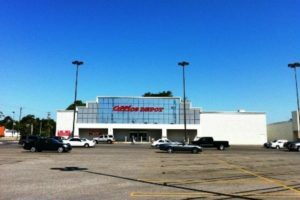 Pascagoula, Mississippi – The development partnership of NLD of Pascagoula, LLC recently sold a 20,100 SF Office Depot located in Chico Crossing Plaza for $1.9 million. Doug Molyneaux of COMVEST Properties, LLC represented the development partnership in the transaction. 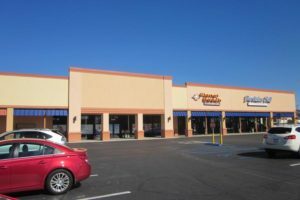 The buyer was represented by Sean O’Shea, BRC Advisors, Inc, of Los Angeles, CA.